Bank of America and federal regulators say the Independent Foreclosure Review is just that — independent. But documents and interviews indicate it's not. Late last year, the country's bank regulators launched a massive program to evaluate millions of foreclosure cases and compensate homeowners who fell victim to the banks' flawed or illegal practices. Regulators dubbed it the "Independent Foreclosure Review" to emphasize that the banks would not be making key decisions about loans they had made or serviced. But a raft of evidence — internal Bank of America memos and emails obtained by ProPublica, interviews with two bank staff members who have worked on the review, and little-noticed documents released late last year by a federal banking regulator — throw the independence of the review into serious doubt. Together, they indicate that Bank of America — the financial giant with the largest number of homeowners eligible for the program — is performing much of the work itself. The ultimate decision as to whether and how much a homeowner will be compensated is not made by Bank of America, the evidence shows, but is based largely on work that the bank itself performs. One current employee called that crucial judgment "only a matter of double checking" the bank's work. Moreover, the bank gets a chance to challenge that key decision before it becomes final — an opportunity not given to homeowners. Bank of America strongly objects to ProPublica's analysis. It insists that the independence of the review has never been compromised. It maintains that its role "has been and remains gathering documents." While it may discover "an error" in the course of that work, the bank says that an independent review conducted by an outside firm "is the sole and final basis" for determining whether homeowners have been harmed and how much compensation they merit. A bank spokesman questioned ProPublica's fairness, writing that "there are no facts to support your claim. Yet it seems you have made a decision to move forward with a story based on speculation and a preconceived notion of this issue." Bank of America's regulator, the Office of the Comptroller of the Currency (OCC), also maintained that the review was independent. After seeing the internal bank documents obtained by ProPublica, the OCC investigated, officials said. The OCC concluded that the documents, which include a memo sent by Bank of America executives to the hundreds of bank employees working on the Independent Foreclosure Review, are "incomplete and inaccurate," said Deputy Comptroller for Large Bank Supervision Morris Morgan. But the documents and interviews tell a sharply different story, and the stakes are high. The maximum cash compensation a homeowner can win through the foreclosure review is $125,000. Regulators set different amounts for the various errors and abuses homeowners endured, and those distinctions can result in widely differing payments — for instance $15,000 instead of $125,000 for homeowners who suffered very similar abuses. ProPublica provided the internal Bank of America documents to Sen. Robert Menendez, who chaired a congressional hearing overseeing the foreclosure reviews. He said, "Congress was led to believe that the consultants would be analyzing homeowner foreclosures completely independently of the Wall Street banks, but these memos raise serious questions as to whether that's true. If banks are trying to skew the results in their favor, regulators should stop that immediately." The senator also said that regulators "should ensure that homeowners have the same opportunities banks do to influence and contest the findings of the foreclosure reviews." Federal regulators designed the program to work like this: Each of the big banks would hire an "independent consultant" to conduct reviews of the bank's foreclosure cases. To ensure that these consultants really were independent, the regulators had to approve them. In September 2011, Bank of America hired Promontory Financial Group to be its independent consultant. Two months later, the OCC released the contract between Bank of America and Promontory. The 118-page document received little notice, but it clearly spells out that Promontory will make its decision only after reviewing the bank's own analysis of each homeowner's claim. When a homeowner sends in a complaint about the way Bank of America handled his or her foreclosure, the contract states, the bank "will process the complaint and provide the complaint, supporting resolution documentation, report of its findings, and proposed resolution to Promontory for independent review and decision concerning the complaint at issue." Promontory, the contract continues, will then review the "complaints and claims, together with [Bank of America's] recommended resolution and supporting documentation, and provide a decision on the complaint." Job ads posted in the fall of 2011 for "Foreclosure File Reviewer" positions at Bank of America reflect this scope of work. Among the job duties listed in one ad were "Complete Claim Review and perform Harm Evaluation according to Promontory/OCC definitions"; "If there was financial injury, determine the amount"; and "Perform final determination of Harm." The ads were posted by staffing companies, but the bank confirmed to ProPublica it was the ultimate employer. An internal bank document created to train employees on their role in the reviews also describes a "claim review" process at the bank. Employees would be running tests on the files to see if there was "harm done to the customer as a result of faulty servicing." Seven months after the review program had been underway, regulators released their plan for how homeowners would be compensated for abuses and errors. The bank's role then changed, the internal documents say. A June 2012 internal memo from Bank of America executives to its employees working on the review says the bank will perform all analyses except the final determination of how much, if any, compensation the homeowner deserved. The OCC has specified eight tests to evaluate whether a homeowner was harmed by a bank, ranging from wrongly rejecting attempts to win loan modifications to charging bogus fees. Bank of America would perform seven of these tests, the memo states, but the final test — the decision of what compensation the homeowner would receive — would be performed by Promontory. The bank executives wrote that moving the final test over to Promontory would make the entire process more efficient. Bank of America would be able to devote more resources to its seven tests and especially "the highly complex and time consuming" test of whether the homeowner was correctly reviewed for a loan modification. The division of labor — with Bank of America analyzing the files for problems and Promontory deciding on the appropriate compensation based on those problems — meant that homeowners who qualified for compensation would get their checks sooner, they wrote. The executives hailed the move as bolstering the integrity of the reviews. The change "ensures that harm and financial injury determinations are made solely by the Independent Consultant, further underscoring our commitment to the independence of the [Independent Foreclosure Review]." Employees who have worked on Bank of America's foreclosure review told ProPublica the memo reflects what they've been hired to do: analyze homeowners' claims, not merely fetch documents for Promontory to analyze. Following a procedure set out by Promontory, they perform tests to see if the bank properly handled the loan. Their work, Bank of America training materials and managers told them, is crucial to the final decision of how much if any compensation homeowners will receive. As for Promontory's role in making the final determination, a Bank of America employee said the widespread understanding among bank staff working on the review was that "it's only a matter of double-checking." Bank of America appears to have far more employees working on the review than does Promontory. The bank's employees number about 1,750 according to a spokesman, while Promontory's contract for the review estimates it will need 469. Promontory declined to say how many staff are currently working on the review. Its contract estimated that roughly 290,000 files would need to be reviewed over about a year. OCC deputy comptroller Morris said banks might have more staff for the reviews than the consultants because gathering all necessary documents can be time consuming. The Bank of America memo also announced another change: the creation of a de facto appeals procedure for the bank. Designed in part "as a response" to Promontory deciding homeowner compensation, the bank would be adding an "Additional Information" unit, the executives wrote. The unit's job, an employee said, is to respond when Promontory finds that a homeowner deserves compensation by producing any evidence that the bank didn't commit the abuse or error. In contrast, homeowners who file a complaint will have no opportunity to appeal the determination of whether they deserve compensation or not. ProPublica asked Bank of America and Promontory to provide any additional internal documents that would shed more light on the roles played by the bank and Promontory. They declined to make any available. Bank of America, Promontory, and the OCC all hotly disputed the idea that the bank's analysis plays any role in the final, all-important compensation decision. But their accounts changed over time, and sometimes contradicted each other as to why and whether Bank of America was analyzing the files rather than merely gathering documents and handing them over to Promontory. Promontory spokeswoman Debra Cope said Bank of America's employees "are responsible only for the clerical work of assembling the documents and files." Promontory employees analyze the material assembled by Bank of America "independently with no involvement from [Bank of America]," she said. "We perform all the tests." Initially, the OCC claimed Bank of America's reviews were mainly only for its own use. Morgan, the OCC official, said Bank of America "is free to do its own internal analysis of foreclosure files, but that has nothing to do with the Independent Foreclosure Review." He went on to explain that the two main reasons a bank might run the tests on its own were to help it gather all necessary documents for the consultant's review and "to learn from and address errors it may have made." Later, the OCC acknowledged that the results of the bank's own reviews are in fact communicated to the independent consultant. "The independent consultant may review the servicer's...findings, but will conduct its own review and draw its own conclusions," said OCC spokesman Bryan Hubbard. Frahm, the Bank of America spokesman, said, the internal memo gave the wrong impression because it was intended only for bank employees. "Clearly, if this was something to be released externally, there would have been more context setting and even different word choice to ensure greater clarity." He strenuously objected to the idea that Bank of America employees conduct any analysis of the files at all. "Bank of America employees conduct no file reviews, they only gather documents necessary to stage files for Promontory," he said. He later acknowledged that as "part of this file staging process, the bank does inform Promontory if it appears an error was made," but that Promontory "performs their own analysis on each file and Promontory's analysis is the sole and final basis for outcomes." With regard to the bank having a chance to contest the consultant's final determination of compensation, the Bank of America spokesman said the "Additional Information" unit's job is "to ensure all facts and documents were considered in the finding of financial injury and provided to Promontory for consideration." The OCC said it was wrong to characterize the unit's work as an appeals opportunity for the bank. "[A]ll servicers have some form of additional information teams responsible for locating and providing all necessary information and documents to independent consultants so they can effectively conduct their reviews," said Hubbard. As for homeowners having no chance to contest the review's conclusions, he said homeowners who don't agree with the outcome of the reviews can still sue the bank, since they don't waive any legal rights by accepting whatever compensation is offered. Regulators created the Independent Foreclosure Review in the wake of the fall 2010 robo-signing scandal, in which it was revealed that banks had filed false affidavits in thousands of foreclosure cases. 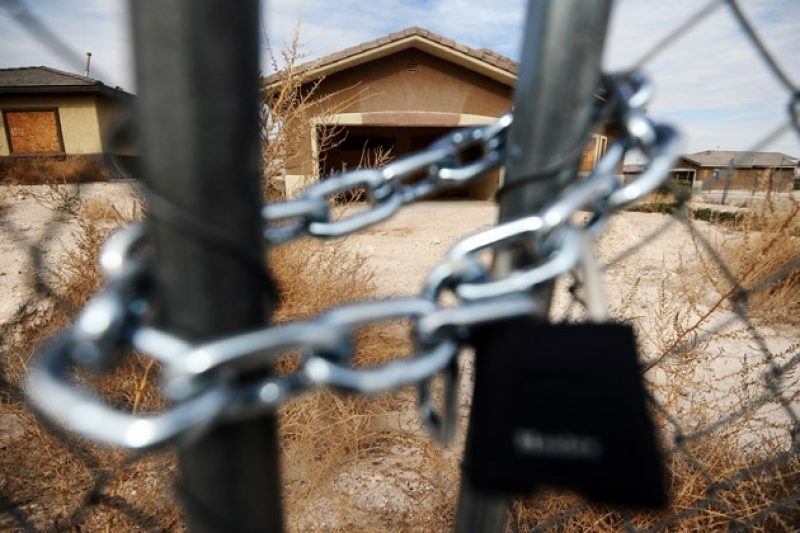 The foreclosure review would cover a range of bank errors and abuses, including botched handling of loan modifications and charging bogus fees. The program currently covers homeowners whose loans were serviced by fourteen U.S. banks and who were in foreclosure at any point during 2009 or 2010. At the end of 2011, about 4.4 million letters were mailed to potentially eligible homeowners inviting them to request a review. The review is the government's largest effort to compensate victims of the crisis. The separate $25 billion legal settlement reached earlier this year between the federal government, state attorneys general, and five big banks included about $1.5 billion in payments to homeowners who lost their homes to foreclosure, but those payments, likely in the range of $1,500 to $2,000, will be the same for all homeowners who make a claim regardless of the circumstances. In response to criticism that the payments were too small, federal officials pointed to the Independent Foreclosure Review as the best place for the victims of the worst abuses to be compensated. For example, HUD Secretary Shaun Donovan said at a February press conference announcing the settlement that the small payments were "always designed to sit in parallel" to the foreclosure review, where "a homeowner can come in, have their claims reviewed at the cost of the banks, and full compensation is made for the wrong at the cost of the banks." But relatively few homeowners have chosen to participate in the Independent Foreclosure Review. As of late September, about 240,000 claims had been sent in, a response rate of about 5.5 percent, according to the OCC. Consumer advocates and the Government Accountability Office have faulted the "Request for Review" letters that regulators sent to homeowners as being confusing and difficult to understand. From the launch of the Independent Foreclosure Review, critics, other bank regulators among them, have questioned its independence. In a new book, former chairman of the Federal Deposit Insurance Corporation Sheila Bair writes that she doubted the consultants could truly be independent, because they relied on the banks for a large amount of business: "Why would they conduct a thorough review that could end up costing the banks a lot of money to compensate past victims?" Promontory has worked previously for Bank of America, but the number and nature of engagements are secret. In the company's contract with Bank of America for the foreclosure review, for instance, there's a page and a half of redacted text under the heading, "Promontory's Past Work with [Bank of America Corporation]." Promontory's spokeswoman said she couldn't comment on confidential client work. An article in The New York Times last year detailed one engagement: Promontory consulted on Bank of America's turnaround plan to cut jobs and costs called "Project New BAC." Shown the internal Bank of America documents, Bair said they make it seem like her fears have been realized. "This raises new issues of whether the independent consultants are really doing the work or whether they're relying on the banks to do it. It's disheartening." Paul Kiel covers business for ProPublica.